Naval Group has announced the selected surveyors for the Future Submarine construction yard at the opening of the company's new office in Adelaide. Coffey Services Australia, Alexander Symonds and Precision Hydrographic Services will commence survey work in preparation for the design and build of the Future Submarine construction yard in Adelaide. The selection of the three Australian companies is worth approximately $1 million and will support 26 jobs in Adelaide. Together, the three companies will provide geographical, topographical and hydrographic survey services to inform the design and build of the submarine yard. So far 126 Australian companies have been pre-qualified to take part in the supply chain for the $50 billion project. At the opening ceremony of Naval Group's new office on Richmond Road in Keswick, Adelaide, Herve Guillou, global chairman and chief executive of Naval Group, said the commencement of survey work signified another milestone achievement in the program. "To inform the design of the construction yard in Adelaide, where Australia’s fleet of regionally superior Future Submarines will be built, we will be commencing comprehensive survey work in the Osborne precinct," said Guillou. "We look forward to working with the Australian companies who will provide us with these services." Minister for Defence Industry Christopher Pyne, who opened the new Future Submarine Program Office, said the establishment of Naval Group's Adelaide headquarters demonstrates the company's commitment to maximising Australian industry involvement in the program. 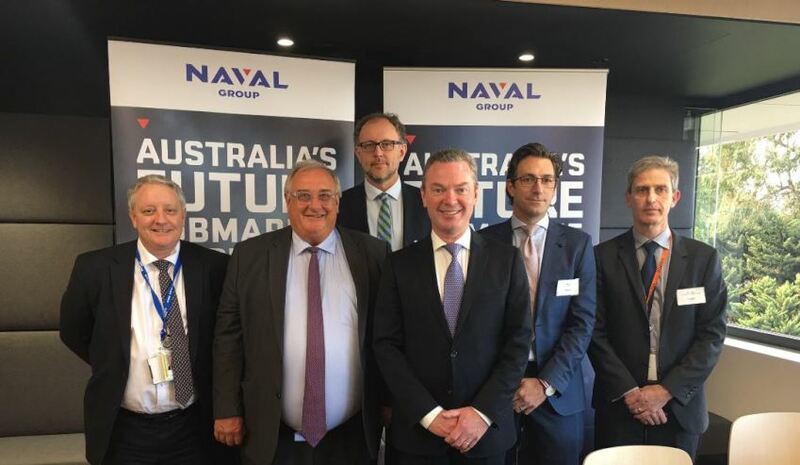 "The opening of Naval Group Australia’s new Adelaide office supports the realisation of the government’s commitment to establishing a sovereign Future Submarine capability in Australia," said Minister Pyne. "It will enable the continuation of key activities, including the transfer of technology from France to Australia, the development of the Australian supply chain and the design of the submarine construction yard to be established in Adelaide." The Future Submarine program is expected to be of more than $50 billion in value, representing investments in submarine design and construction, science and technology, logistic support and supporting infrastructure. The federal government is projecting Australian industry involvement in the program to generate an average of around 2,800 jobs annually over the life of the Program, of which the program will directly employ 1,100, with the remaining 1,700 to be employed in the supply chain.